~ Vinyl has undergone major advancements in recent years. ~ One of the most practical flooring solutions for todays active lifestyles. ~ One of the easiest floors in the industry to maintain. ~ Superior selection, broadest range of styles & colors. ~ Performance options to meet your needs and budget. 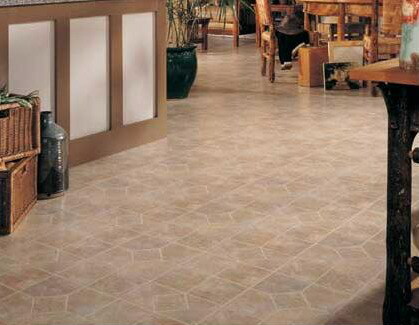 ~ Most vinyl floors are available in 12' width creating less seams. ~ Tile offers you the ability to replace a single tile if damage occurs.